In your business, the question of what programming language to use might be a tale as old as time. Everyone has their own preferences and ideas when it comes to languages, so settling on a unified language can be difficult. Especially if your team consists of both new and far more experienced employees. Of course, there is one easy and very simple answer to what can otherwise be a difficult question: Python. Need convincing? Here are some of the best reasons that your business should be using python in 2019 and the advantages it can give you. First and foremost, let’s answer a simple question: what is Python? For any business owner not in the know, this is a programming language which was named after the comedic genius of Monty Python (so, you already know it’s going to be good). It does a wide range of things from creating games to testing microchip viability. All the while being incredibly simple, so much so in fact that it is easily mistaken for the English language rather than coding at all. There are a number of reasons why Python is great for development and so widely recommended. But, it all comes back to this simplicity and ease of use at the end of the day. If you need some popular examples of companies that use python, for reassurance, then there’s plenty of choices. Almost all of the most well-known software companies in the world use Python. This includes companies such as Instagram, Amazon, Facebook, Spotify, Netflix, IBM and even Reddit. The whole site, in this case, was written in Python for ease of use. It is one of the most popular programming languages and is fast becoming a language that is used in almost every popular application used on a daily basis. For that reason, why shouldn’t it be used in your company also? Create an interactive user face for your business website, online platform or app. Acts as accessible source code for a number of assets (your website for example), as it is easy to read. A good language for data science; such as machine learning, data analysis and visualisation. Scripting or more simply, creating a small program which automates a task. The fact is that Python is not only good for creating applications but even for automating basic tasks in your business. There are plenty of pros and cons of the various programming languages. The nature of Python means that is used by individuals and big corporations alike, so there is a lot of support for the language. Use across industries – from Disney to banks – means that the capabilities of Python are quite varied. It can help to build a number of different products and solutions, so this support is invaluable. Over its life, Python has developed a reputation for being a high-performance language. It is also the fastest language enough when it comes to development time, largely as a result of it being so user-friendly. Also, thanks to projects such as PyPy and Numba, which aim to speed up the language using a high-performance function, the language itself is getting faster every day. So, the reputation it had for being slow is certainly something it is quickly leaving behind. The one thing it is not fast enough to do is to implement a search engine. And if you do so, then you expect it to be slightly slower if you use Python. In recent years, it is fair to say that big data is becoming more and more significant in terms of business. With data scientists favouring Python, it is an important language when it comes to data processing. Which is why it is not a surprise that it has become so important when it comes to big data also. For this reason, Python is the best choice when it comes to building analytics tools and datasets. And in a world that values data more and more for business purposes, it becomes an increasingly important element to include in your business plans. Python can also learn from this data using advanced machine learning programming, which can then be used for any number of projects in your business. One of the biggest draws of Python is the fact that it is so easy to learn. Compared to other languages it is clean, simple and even user-friendly some might say. Which means that you can easily teach it to new staff or have current staff learn it quickly. The biggest reason for this ease is the fact that Python is intuitive. This means that even with only basic knowledge of other programming languages, a competent member of staff should be able to learn and implement Python into their everyday work. The use of Python in cybersecurity is becoming more and more popular. There is a wealth of support packages for Python when it comes to security applications, thanks to its clean coding and easy to use design. For that reason, if cybersecurity is a vital asset for your business then Python is a clear winner when it comes to choosing a programming language. Ultimately, there are many more than just five reasons why your business should be using Python in 2019. There are also some shortcomings to this coding language, it can’t be denied, but the positives definitely seem to outweigh the negatives in this case. 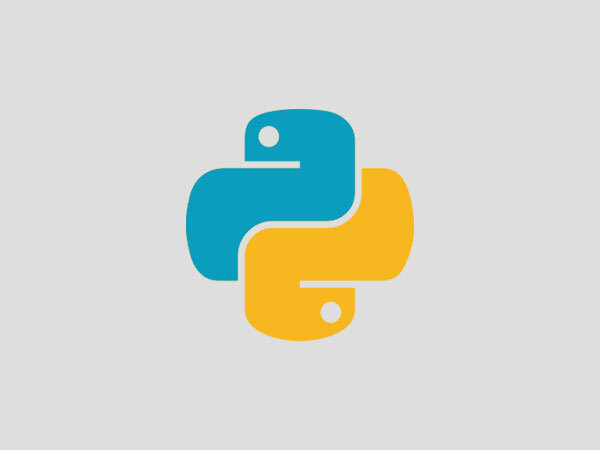 For speedy software development and simple maintenance, Python is the answer you need. 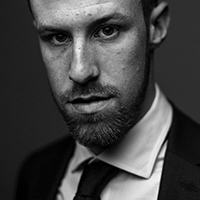 Paul Matthews is a Manchester based business and tech writer who writes in order to better inform business owners on how to run a successful business and his main focus is technical due diligence. You can usually find him at the local library or browsing Forbes’ latest pieces.